INDUSTRY.co.id - Jakarta - Batik is a cultural heritage that must always be preserved sustainability, love and appreciation of batik can be appreciated in various ways. UNESCO set batik as Indonesia's original cultural heritage to the world in the year 2009 ago, this honor makes the whole Indonesian people are aroused to be creative and process batik in various handicrafts. Indonesian batik party performances are also an event that always awaited batik lovers. In order to enliven the National Batik Day this year which falls on October 2, 2017, Grand Mercure Hotel Jakarta Kemayoran has successfully held a batik performance entitled "Ragam Cerita Batik Indonesia". Located in Plumeria Lounge area, the success of batik performance is fully supported by Batik Palbatu, Batik Jakarta Community, Kebaya Magazine, Media, and batik craftsman community. 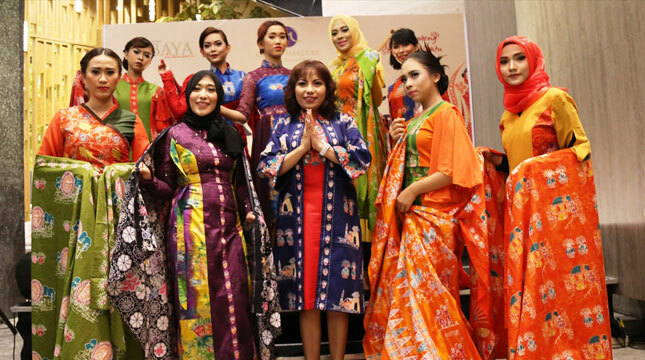 The event was also enlivened by the appearance of fashion show works of Ayudiya Batik, Batik Betawi, and Batik Community Palbatu. In addition, the Variety of Batik Indonesia Stories is also filled with workshop materials and talkshows with speakers of Mrs. Ana (Batik Betawi), Mrs. Bogie Ayudiya (Ayudiya Batik), Mrs. Hilmalani (Javanese Shoes) which is directly guided by Aloysia Sekar as Marketing Communications Manager. The event is more festive with special performances from Bellagro vocal group. The most special moment of the event is the enthusiasm of the visitors during the batik auction event where the proceeds from the auction will be donated to A Tree For A Child (AFTAC) program of Grand Mercure Hotel Jakarta Kemayoran. All the handicrafts auctioned out in just 15 minutes, all invited guests were so enthusiastic in following the activities. Hope the hotel, hopefully this activity can provide a new experience in the history of National Batik Day celebration. Batik is a cultural heritage to be proud of and kept in such a creative and innovative way that future generations can puff out the chest when showing it to the world.